The PUMA King is a boot steeped in heritage. 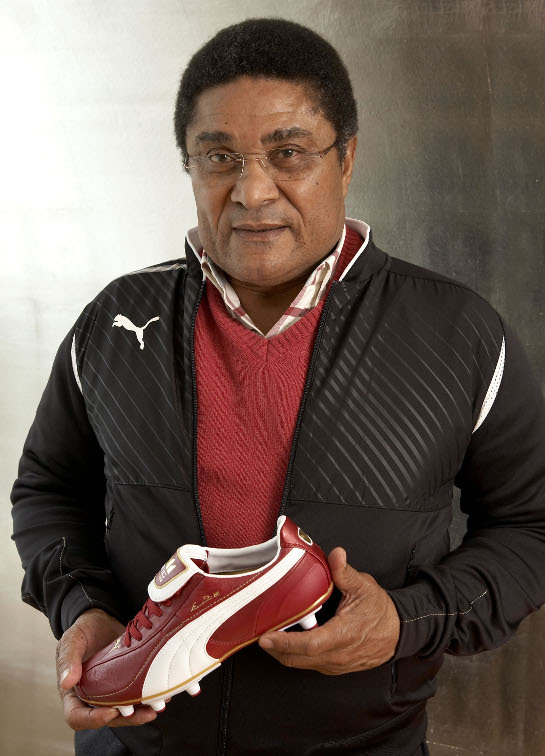 A boot that’s entrenched in World Cup history and that has graced the feet of titans of the game, like Pele, Maradona and Eusebio (as pictured below). It is now tragically under-represented among top flight footballers. So has this decline in popularity come about because of a reduction in quality? No way! 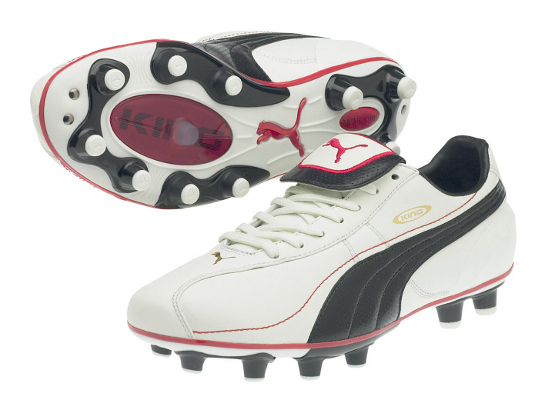 The Puma King XL is, without exception, the most comfortable boot that PUMA have in their current range. Looking at the boot you can see how well they leather’s been treated; it’s pulled taught at the stitches and is unbelievably soft in the panels around the foot of the boot. 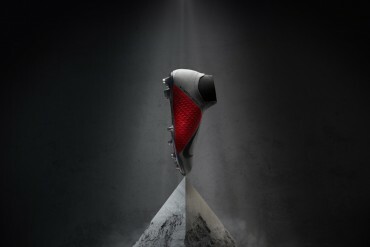 A feature that I feel is worthy of note is the way PUMA has integrated the heel counter into the boot. Obviously dedicated to the understated and ‘clean’ look of the boot – but at the same time realising that a heel counter adds to comfort and safety – the counter is almost seamlessly hidden by texturing and colouring the plastic to look and feel like leather. In terms of fit, the boot has a more narrow fit than other classically-styled boots available at the moment, fitting more like the first adipure. That said – the King retains the full-length centred lacing that has since left the adipure line, so unless your feet are really wide, you’ll be able to loosen the boot to accommodate. The King XL has all the durability you’d expect from a classic leather boot. Whilst not as tank-like as its stable-mate the v-Konstrukt III, its all leather-upper will almost certainly take all the knocks you can throw at it. Thanks to the onset of the British winter, I’ve had the opportunity to give the King’s a run out in some pretty damp conditions over the last two weeks; so I can also vouch for the boots holding up in the wet. The soleplate is integrated well into the rest of the boot, and there’s no ventilation of any sort, making them a solid choice for the winter. As I mentioned before, the King XL’s upper has obviously been crafted with a lot of time and care from the team at PUMA. The leather is so supple you can see the creases in the panels even when the boot is not being worn. So as you can probably imagine, in terms of first touch and passing it’s up there with the best. One design feature that’s a little odd is the leather panel that runs from the toe up to the lace eyelets. Presumably there to add durability to this often stood on area of the foot – it gives the boot a flat surface on the top, going against the very supple, rounded feel that the rest of the boot has. This feature is something of a double edged sword; on one hand the flatter surface on the top is something that is lacking from the likes of the Tiempo Legend and adipure lines, and in my opinion gives the boot a nice big area for hitting volleys and controlling the ball. On the other, whereas many other classic boots are rounded and hug the shape of the foot, the King XL loses that natural feel when hitting the ball with the laces. The Puma King is an icon among boot lovers and designers, and after playing in these it’s easy to see why. It, like the Copa Mundial, takes many of its design features from a time before gimmicks and designing boots for particular positions. 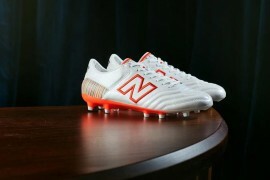 As such, it’s a boot that’s at home anywhere on the park, especially the midfield. 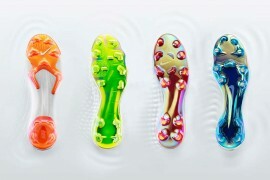 The soft upper is great for a natural touch on the ball, whether receiving, running with or passing. If you’re after any technological advances, the King XL was never going to be the boot for you. The Velcro tongue is probably the most ‘modern’ feature on the whole boot! It’s about putting an emphasis on getting the basics right before innovation. My one criticism is the area around the laces being flat. 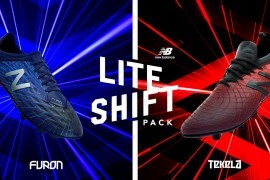 It’s obviously a key area for strikers when shooting and defenders when clearing the ball, which is why I’m sticking with my recommendation for midfielders – but then, the team at Concave would argue that a large flat area on top if the boot is exactly what you need for great contact with the ball. So depending on what your view on this debate is; this could well influence how much you feel that this could be the boot for you. Fancy a pair of the PUMA King XL’s? You can order them here. I hardly wear mine now for fear of wearing them out before I’m 80 or so. Brilliant boots. Another excellent review Kyle – top notch. 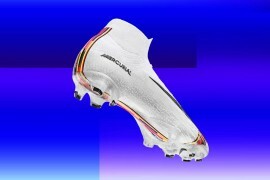 Great boot – fab review. What does the XL stand for please? 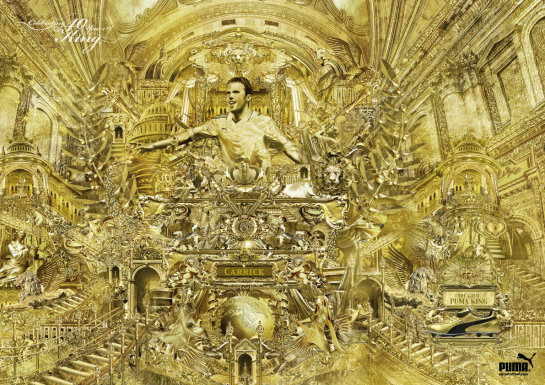 kuuku – XL (Roman numerals for 40) was added in 2008 to celebrate 40 years of the Puma King boot. To be honest I got these boots a few months ago as a backup and haven’t like them a bit. It may just be me but I always found them very uncomfortable, and that they slid around my foot a lot, especially around the heel. They are not too big. The other thing that I think perhaps should have been mentioned is how thick the sole is, it seems to resist bending too much in my opinion. Again I am the only one I know who is dissatisfied with them, but I would be curious to know if anyone else had a similar opinion. Gorgeous boot. Can’t beat the classics. Completely agree with all the comparisons to Copas and Adipure. Spot on. I have a couple of these in fg and one in sg. Safe to say I love them. Found them a little narrow in the forefoot but not much. I don’t get blisters or rubbing with them but I double sock it all the time. The touch is great and as mentioned, solid for midfielders. The flat top is great for vollies and control. I do admit striking with them was a bit more difficult at first but you figure it out quick enough like any new boot. The laces are too thick in my opinion, and they do not have enough friction so you have to make sure you make your knots extra tight compared to normal. The is very little stud pressure. The sole plate takes 2 or 3 sessions to break in properly but fine afterwards. The stud tips on the fg version seem to wear down quick though. The 6 stud is by far my favourite. Very comfortable even if you do play on ground that’s a little bit too hard for SG boots. All in all, they are very comfy once broken in, very cheap ($130 on puma.com, and you can get vouchers easily), good touch, striking is a little different than other boots but great for vollies. If you like no BS pure functionality take this over adipure. Not sure about the legend as I have not worn it before. I did have one problem with them but it was apparently a factory defect. One of the stud’s had not properly bonded to the soleplate and had start to come off. I phoned PUMA and what excellent customer service I had. I explained to them that I live in Canada and it would cost me an arm and a leg to ship the boot there and back just for evaluation. So they let me send in pictures of the defect and put the money back onto my credit card. I’ve put my latest pair through a season and a couple week long tournaments. It’s not seperating from the soleplate or anything. The silly piece of decorative plastic around the soleplate however gets dirt and grass in it. Thanks for all the comments as always – it’s great to see how the footy-boots community reacts to any review! Marcello & Jason – it’s interesting you’d mention the soleplate – I thought it was exactly what you’d expect from an older boot and didn’t have a problem with it. I do agree that it could do with an update though, with all the innovation that Puma do with the soles on the v1.10 and Konstrukt series I’d like to see some subtle updates to the King too. All good points especially about the laces; tightness on ‘fatter feet’ and looseness around the heel. I have wide feet and therefore I ordered HG’s in 9’s AND 9.5’s.As it turns out I opted for the 9’s which were tight, however I persevered and now that the leather has stretched I double sock with them! !Along with the above problems, I also found that the tongue moved down the side of the boot, which was annoying and uncomfortable, however I resolved this by sticking the tongue down and double knotting over the tongue and thus stopping the laces undoing AND tightening up the heel. Now they are the most comfortable boots I’ve owned(even better than the original Kings and Copa’s for that matter)In the end,it’s all down to personal taste I s’pose. I bought these boots, the italian edition, and got surprised by how comfortable they were, but by the fourth or fifth game the upper started to ripped from the sole in the front lateral side. I’m sure they were the appropiate size and used them as any other boot. I’m extreamly disapointed by this terrible flaw, i really liked how the boot fit and performed, but i think puma forgot to put some effort in the quality of the product. I have intention to bought the italian edition, and the thing that worried me most is should i get my normal size (US8.5) or a half size smaller (US8). Thinkin g that the leather will stretch, i am leaning towards size US8, but also worried that it may not stretch as much as to comfort fit standard for me. Can anyone who wore the Puma King XL before advise? Having always worn puma king, I bought my usual size, fitted perfectly. Little stiff to start, but after 10 minutes, like wearing slippers.Ace! However……..boy, has the leather stretched! I’ve only worn them 4 times and they now feel loose on my feet. Have to double sock ,and am seriously considering buying another pair a half size smaller, which I shouldn’t have to do. The leather, in my opinion, is TOO soft. Never had this problem before, but Kings were always made from Pittards leather before……Be warned. 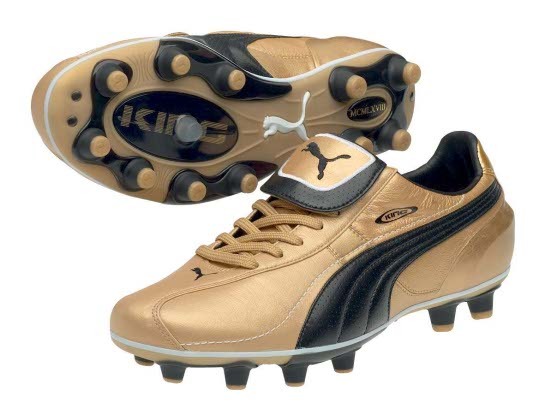 Had my same pair of puma kings for 2 seasons playing as a sweeping centre-back. Still pristine condition, have used usual cleaning methods, stuffing with newspaper, polish, dubbing etc. Very pleased! Bence bu kramponlar dĂĽnyanÄ±n en iyi kramponu. Zaten benim alacaÄźÄ±m krampon bu. Sondan 2. olan altÄ±n renkteki krampon benim en az 5 ay sonra alacaÄźÄ±m krampondur.